November 6th, 2010 , under ActionScript. 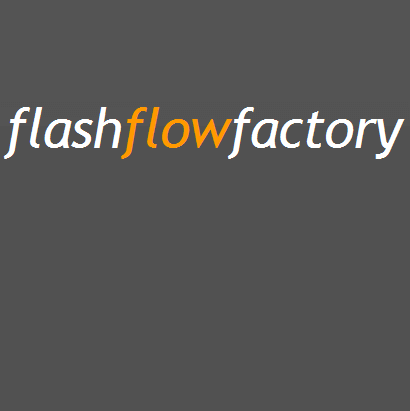 I am working very hard for the first release of flashflowfactory. There are lots of code tweaks and more improved documentation already. More about the framework and some introductions can be found in this earlier post. Now I really want to make it easy for lots of people. I already got some helpful tips from users/testers. So I am collecting everything that is needed to make it as usable as possible. I am working on demo projects and it is still alpha. I am using TweenLite, but is is not legal to serve code from GreenSock/TweenLite on googlecode, because of the special license model. Now all the flashflowfactory transitions make use of TweenLite. So when I would like to create an SWC of the framework + the transitions, I must include TweenLite. So, and that is the only option, I need to serve the transitions as a separate package. This makes me think. I am using TweenLite because it is my favorite tweenengine. I could use another tween engine, with a MIT license. But then the users of the framework should fully switch to that engine, or include multiple tweenengines in their projects (which would be crazy). So the new plan is to create an SWC of the framework without any default transition. Then I will serve multiple packages with the default transitions ported to some famous tween-engines, so you could make a choice. If you want to use Tweenlite you should download the TweenLite pack etc.. I have created the packs for TweenLite, Tweener, gTween and eaze-tween. I thought this whole license-thing was a problem, but when I take a closer look; Now you can make use your own favorite tweenengine. I think more choice is better (in this case). You’re right, TweenLite is definitely the simpler tween engine I’ve ever found. Previously I always use Tweener for any tween purposes. TweenLite is give you exactly what you want with simpler parameters. However, like you’ve said, anybody may use their own favorite tween engine. @Narie; I have contacted Jack, and he said I should make that kind of note too, or do not host the code on googlecode. I get his point; all things on googlecode should be completely opensource and tweenlite has another license model. But I think this is fine. Most people who use TweenLite copy/paste the SWC/class files from tweenlite. But what about Gaia framework, i think it’s the best framework for sitemaking! @vladimir, I have seen Gaia, it has really great features and is well-supported, up-to-date and no there is nothing wrong with it. For now I think this framework is just fun to create and very useful/lightweight for the way I create sites. Caused by: java.util.zip.ZipException: invalid entry size (expected 67324752 but got 22648 bytes) etc. – which is pretty quick and easy once you know. It might be pretty handy for fdt users who get caught out to know. @Rough Rabbit: That is very strange. I am using the exportSWC plugin for flashdevelop to compile the framwork as SWC. I have not used haXe to create the framework. It must be a problem of the plugin or something in combination with FDT, since it works from the Flash IDE + FlashDevelop. Thanks for reporting this issue + the link to the solution, I will check if there is a new version of the swc-plugin and I will add the problem/solution to the wiki page soon. I really appreciate this feedback, hope the framework will not disappoint after this research 🙂 btw I am open for suggestions. …to what extent is SWFAddress already incorporated into the framework…. e.g. in your getting started tutorial with three buttons (Home Contact Info) – do I need to register and setValue for each of these? I really like the concept of the Flash Flow Framework. Light weight and simple enough. thanks for it! I’m coding with Flash Builder 4.5. When I import the swc file that you provided with the sources, there is no problem. But most of the times I prefer to import library paths into my projects so I can check every class by cmd+click on them. When I put the source classes into my project, there appears lots of question marks in the SWFAdress.as Class. the problem is because of the “private static” variables. Do you have any idea about the issue?